BS EN 1406:2009 ICS 13.060.20; 71.100.80 NO COPYING WITHOUT BSI PERMISSION EXCEPT AS PERMITTED BY COPYRIGHT LAW BRITISH STANDARD Chemicals used for treatment of water intended for human consumption — Modified starchesThis British Standard was published under the authority of the Standards Policy and Strategy Committee on 30 November 2009 © BSI 2009 ISBN 978 0 580 58596 8 Amendments/corrigenda issued since publication Date Comments BS EN 1406:2009 National foreword This British Standard is the UK implementation of EN 1406:2009. It supersedes BS EN 1406:1998 which is withdrawn. The UK participation in its preparation was entrusted to Technical Committee CII/59, Chemicals for drinking water treatment. A list of organizations represented on this committee can be obtained on request to its secretary. This publication does not purport to include all the necessary provisions of a contract. Users are responsible for its correct application. Compliance with a British Standard cannot confer immunity from legal obligations.BS EN 1406:2009EUROPEAN STANDARD NORME EUROPÉENNE EUROPÄISCHE NORM EN 1406 August 2009 ICS 71.100.80 Supersedes EN 1406:1998 English Version Chemicals used for treatment of water intended for human consumption - Modified starches Produits chimiques utilisés pour le traitement de l eau destinée à la consommation humaine - Amidon modifié Produkte zur Aufbereitung von Wasser für den menschlichen Gebrauch - Modifizierte Stärke This European Standard was approved by CEN on 24 July 2009. CEN members are bound to comply with the CEN/CENELEC Internal Regulations which stipulate the conditions for giving this European Standard the status of a national standard without any alteration. Up-to-date lists and bibliographical references concerning such national standards may be obtained on application to the CEN Management Centre or to any CEN member. This European Standard exists in three official versions (English, French, German). A version in any other language made by translation under the responsibility of a CEN member into its own language and notified to the CEN Management Centre has the same status as the official versions. CEN members are the national standards bodies of Austria, Belgium, Bulgaria, Cyprus, Czech Republic, Denmark, Estonia, Finland, France, Germany, Greece, Hungary, Iceland, Ireland, Italy, Latvia, Lithuania, Luxembourg, Malta, Netherlands, Norway, Poland, Portugal, Romania, Slovakia, Slovenia, Spain, Sweden, Switzerland and United Kingdom. EUROPEAN COMMITTEE FOR STANDARDIZATION COMITÉ EUROPÉEN DE NORMALISATION EUROPÄISCHES KOMITEE FÜR NORMUNG Management Centre: Avenue Marnix 17, B-1000 Brussels © 2009 CEN All rights of exploitation in any form and by any means reserved worldwide for CEN national Members. Ref. No. EN 1406:2009: EBS EN 1406:2009 EN 1406:2009 (E) 2 Contents Page Foreword 3 Introduction .4 1 Scope 5 2 Normative references 5 3 Description .5 3.1 Identification .5 3.2 Commercial form .7 3.3 Physical properties 7 3.4 Chemical properties 8 4 Purity criteria 8 4.1 General 8 4.2 Composition of commercial product .8 4.3 Impurities and main by-products .9 4.4 Chemical Parameters 9 5 Test methods 9 5.1 Sampling .9 5.2 Analyses .9 6 Labelling - Transportation - Storage . 10 6.1 Means of delivery 10 6.2 Risk and safety labelling in accordance with the EU Directives . 11 6.3 Transportation regulations and labelling . 11 6.4 Marking 11 6.5 Storage . 11 Annex A (informative) General information on modified starches . 12 A.1 Origin . 12 A.2 Use . 12 A.3 Rules for safe handling and use . 13 A.4 Emergency procedures 13 Bibliography . 15 BS EN 1406:2009 EN 1406:2009 (E) 3 Foreword This document (EN 1406:2009) has been prepared by Technical Committee CEN/TC 164 “Water supply”, the secretariat of which is held by AFNOR. This European Standard shall be given the status of a national standard, either by publication of an identical text or by endorsement, at the latest by February 2010, and conflicting national standards shall be withdrawn at the latest by February 2010. Attention is drawn to the possibility that some of the elements of this document may be the subject of patent rights. CEN [and/or CENELEC] shall not be held responsible for identifying any or all such patent rights. This document supersedes EN 1406:1998. Annex A is informative and gives some information on origin, use and handling of modified starches. According to the CEN/CENELEC Internal Regulations, the national standards organizations of the following countries are bound to implement this European Standard: Austria, Belgium, Bulgaria, Cyprus, Czech Republic, Denmark, Estonia, Finland, France, Germany, Greece, Hungary, Iceland, Ireland, Italy, Latvia, Lithuania, Luxembourg, Malta, Netherlands, Norway, Poland, Portugal, Romania, Slovakia, Slovenia, Spain, Sweden, Switzerland and the United Kingdom. BS EN 1406:2009 EN 1406:2009 (E) 4 Introduction In respect of potential adverse effects on the quality of water intended for human consumption, caused by the product covered by this standard: 1) This standard provides no information as to whether the product may be used without restriction in any of the Member States of the EU or EFTA; 2) It should be noted that, while awaiting the adoption of verifiable European criteria, existing national regulations concerning the use and/or the characteristics of this product remain in force. NOTE Conformity with this standard does not confer or imply acceptance or approval of the product in any of the Member States of the EU or EFTA. The use of the product covered by this European Standard is subject to regulation or control by National Authorities. BS EN 1406:2009 EN 1406:2009 (E) 5 1 Scope This European Standard is applicable to modified starches used for treatment of water intended for human consumption. It describes the characteristics of modified starches and specifies the requirements and the corresponding test methods for modified starches. 2 Normative references The following referenced documents are indispensable for the application of this document. For dated references, only the edition cited applies. For undated references, the latest edition of the referenced document (including any amendments) applies. EN ISO 3696, Water for analytical laboratory use — Specification and test methods (ISO 3696:1987). ISO 1666, Starch — Determination of moisture content — Oven-drying method. ISO 3165, Sampling of chemical products for industrial use — Safety in sampling. ISO 5377, Starch hydrolysis products — Determination of reducing power and dextrose equivalent — Lane and Eynon constant titre method. ISO 6206, Chemical products for industrial use — Sampling — Vocabulary. ISO 8213, Chemical products for industrial use — Sampling techniques — Solid chemical products in the form of particles varying from powders to coarse lumps. 3 Description 3.1 Identification 3.1.1 Chemical names Chemical names of typical modified starches are listed: a) non-ionic starch: poly-D-glucose; b) cationic starch: starch 2-hydroxy-3-(trimethylamino) propylether, chloride; c) anionic starch: starch carboxymethyl ether, sodium salt. Other modified starches may be used. 3.1.2 Synonyms or common names a) starch; b) modified starch; c) starch flocculants. 3.1.3 Relative molecular mass Undegraded potato starch derivatives: typically in the range of 10 6to 10 8 . BS EN 1406:2009 EN 1406:2009 (E) 6 3.1.4 Empirical formulae Empirical formulae for typical modified starches are: a) non-ionic starch: (C 6 H 10 O 5 )n; b) cationic starch:[(C 6 H 10 O 5 )(C 12 H 24 ONCl) 0,035-0,7 ] n ;c) anionic starch: [(C 6 H 10 O 5 ) (C 8 H 11 O 7 Na)0,113 ] n“.3.1.5 Chemical formulae Chemical formulae for typical modified starches are: Non-ionic starch: Cationic starch: Anionic starch: BS EN 1406:2009 EN 1406:2009 (E) 7 3.1.6 CAS Registry Numbers 1)a) non-ionic starch: 9005-25-8; b) cationic starch: 56780-58-6; c) anionic starch: 9063-38-1. 3.1.7 EINECS reference 2)Non-ionic starch has the following EINECS number: 232-679-6. Modified starches are exempt from EINECS registration providing the reactants used to carry out the modification are EINECS registered. 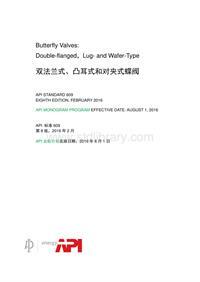 3.2 Commercial form Modified starches as specified in this standard are available as solids containing a small amount of residual moisture or as aqueous solutions. 3.3 Physical properties 3.3.1 Appearance Modified starches are white to pale yellow solids in the form of granule, flake or powder or white to yellowish viscous aqueous solutions. 3.3.2 Density The bulk densities are as follows: a) starch powders: 0,4 – 0,7 kg/dm 3 ; b) aqueous solution: 1,0 – 1,2 kg/dm 3 . 3.3.3 Solubility The products are soluble in hot or cold water. Their solubility is limited only by viscosity. Typically, anionic starch is soluble to a concentration of 6 % mass fraction, cationic starch to 8 % mass fraction and non-ionic starch to 13 % mass fraction, all in cold water. 3.3.4 Vapour pressure Not applicable. 3.3.5 Boiling point at 100 kPa Not applicable. 3.3.6 Melting point Not applicable. 1) Chemical Abstracts Service Registry Number. 2) European Inventory of Existing Commercial Chemical Substances. BS EN 1406:2009 EN 1406:2009 (E) 8 3.3.7 Specific heat Not applicable. 3.3.8 Viscosity, dynamic Not applicable. 3.3.9 Critical temperature Not applicable. 3.3.10 Critical pressure Not applicable. 3.3.11 Physical hardness Not applicable. 3.4 Chemical properties Starch and starch derivatives are non-hazardous materials and not intrinsically reactive. However, in common with many other organic compounds, a strong exothermic reaction will occur if they are brought into contact in the dry state with a strong oxidizing agent or strong acid. NOTE In dilute solution, there can be a reaction with, or destruction by, some of the disinfection and oxidizing agents used in water treatment. 4 Purity criteria 4.1 General This European Standard specifies the minimum purity requirements for modified starches used for the treatment of water intended for human consumption. Limits are given for impurities commonly present in the product. Depending on the raw material and the manufacturing process other impurities may be present and, if so, this shall be notified to the user and when necessary to relevant authorities. NOTE Users of this product should check the national regulations in order to clarify whether it is of appropriate purity for treatment of water intended for human consumption, taking into account raw water quality, required dosage, contents of other impurities and additives used in the product not stated in the product standard. Limits have been given for impurities and chemicals parameters where these are likely to be present in significant quantities from the current production process and raw materials. If the production process or raw materials lead to significant quantities of impurities, by-products or additives being present, this shall be notified to the user. 4.2 Composition of commercial product The following requirements shall apply to modified starch products (this specification applies to dry starch): a) starch content: 86,4 % mass fraction to 92 % mass fraction; b) moisture content: 6,5 % mass fraction to 12 % mass fraction; BS EN 1406:2009 EN 1406:2009 (E) 9 c) extraneous matter: none. For aqueous solutions of starch: d) starch content: 50 % mass fraction to 5 % mass fraction; e) the moisture content: 50 % mass fraction to 95 % mass fraction. 4.3 Impurities and main by-products Based on the raw materials and manufacturing process (see A.1) there are no significant concentration of additional reactants or by-products which are relevant to the application of this product in drinking water treatment. 4.4 Chemical Parameters NOTE For the purpose of this standard, “chemical parameters” are those defined in the EU Directive 98/83/EC of 3 November 1998 . Chemical parameters as defined above are not relevant at a reference dose of 5 mg/l. 5 Test methods 5.1 Sampling Sampling shall be in accordance with ISO 8213 and the recommendations given in ISO 3165 and ISO 6206 shall be followed. A representative sample of the solid product or aqueous solution, of sufficient mass, shall be obtained immediately after manufacture or from a newly opened package(s). The sample shall be clearly labelled with product name/code, batch number, type of container(s) sampled and date sampled. Reference samples shall be retained for the storage life of the product as claimed by the manufacturer/supplier. 5.2 Analyses 5.2.1 General Unless otherwise specified, all reagents shall be of recognized analytical grade. The water used shall conform to grade 2 specified in EN ISO 3696. 5.2.2 Main product 5.2.2.1 Determination of starch content 5.2.2.1.1 Principle The test sample is first heated with dilute hydrochloric acid to convert it by hydrolysis to reducing sugars . Then the dextrose equivalent of the test sample is determined by titrating with the solution thus formed a prescribed volume of mixed Fehling s solution under specified conditions using methylene blue as internal indicator. 5.2.2.1.2 Reagents 5.2.2.1.2.1 Hydrochloric acid concentrated density, ρ = 1,19 g/ml. BS EN 1406:2009 EN 1406:2009 (E) 10 5.2.2.1.2.2 Potassium hydroxide, solution at 10 g/l. 5.2.2.1.2.3 Decolourising charcoal. 5.2.2.1.3 Apparatus Ordinary laboratory apparatus and glassware together with the following: 5.2.2.1.3.1 Conical flask, 250 ml, with glass stopper fitted with reflux condenser. 5.2.2.1.3.2 Volumetric flask, 200 ml. 5.2.2.1.4 Procedure 5.2.2.1.4.1 Test portion Weigh, to the nearest 0,1 mg, 1 g of test sample into a 250 ml flask (5.2.2.1.3.1). 5.2.2.1.4.2 Determination 5.2.2.1.4.2.1 Hydrolysis of sample To the flask fitted with reflux condenser (5.2.2.1.3.1) containing the test portion add 100 ml of water and 2 ml of hydrochloric acid (5.2.2.1.2.1). Bring to the boil and reflux for 3 h. Transfer the contents of the flask and rinsings to a 200 ml volumetric flask (5.2.2.1.3.2). Cool and nearly neutralise with potassium hydroxide solution (5.2.2.1.2.2). Add water to 200 ml and filter through a little decolourising charcoal (5.2.2.1.2.3). Carry out the above procedure in triplicate to provide sufficient test solution for the titration phase (5.2.2.1.4.2.2). 5.2.2.1.4.2.2 Determination of dextrose equivalent Determine the dextrose equivalent in accordance with ISO 5377. NOTE The dextrose equivalent expressed as the number of grams of anhydrous D-glucose per 100 g of the dry matter in the sample is equal to the starch content expressed as % mass fraction. 5.2.2.2 Determination of moisture content Determine the moisture content by the oven-drying method in accordance with ISO 1666. 5.2.3 Impurities Not applicable (see 4.2). 6 Labelling - Transportation - Storage 6.1 Means of delivery The product shall be delivered in suitable containers, e.g. bulk containers, sacks, drums or cans. Drums and sacks shall have a moisture barrier, e.g. an internal polyethylene liner.